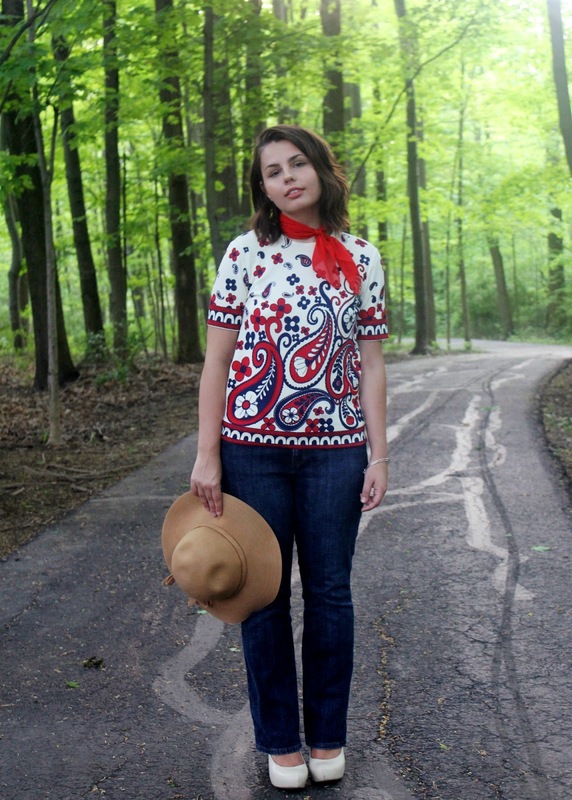 One of my favorite things about wearing vintage and thrifting is mixing decades in fashion. 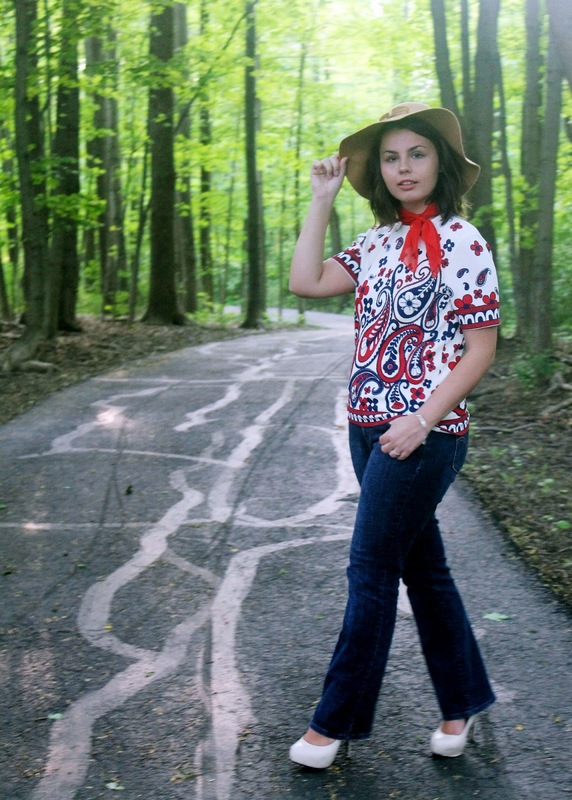 When these clothes were first in style, they were worn with other pieces from that decade. Since I have a whole century of previous fashion styles to now pull from, I can mix and match trends from different decades to create a uniquely modern take on vintage pieces. 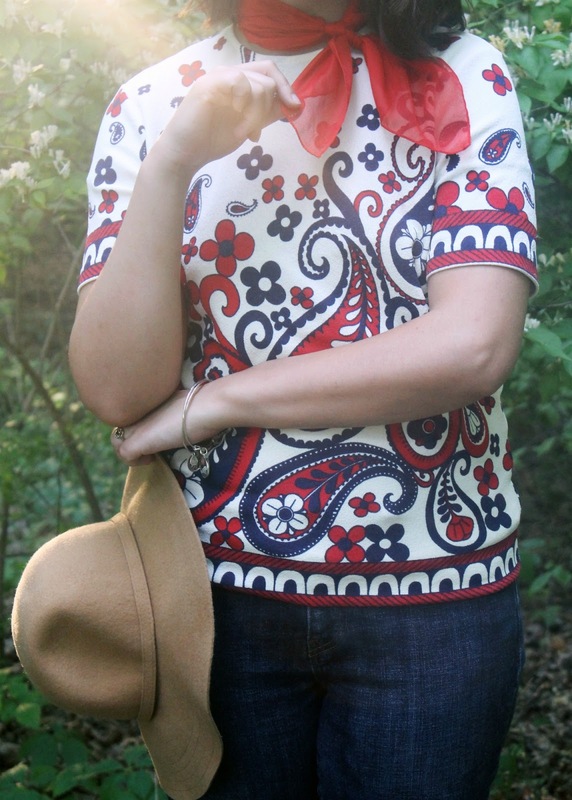 I paired this '60s top with more '70s style jeans and loved the way it looked! If you follow me on instagram or snapchat (both passingwhimsies) you saw that I hit the absolute thrifting jackpot this past week. I just "casually" stopped into my local Goodwill to drop some things off, and got suckered into looking around, like always. As I was looking at the dress section, I noticed a lot of vintage '60s piece mixed in. It's quite rare for me to find true vintage at the thrift store anymore, so it piqued my interest. I then realized, to my utter excitement, that someone had donated their entire '60s/early '70s wardrobe! This is a thrifter's dream and only comes a few times in life. I gathered honestly the largest stack of clothing I've ever selected at a thrift store and greedily brought it all in the dressing room. Shift dresses of every color in the rainbow, blouses, vests, skirts....I felt like I won the lottery. I knew I couldn't take it all home though or my mother would absolutely kill me. I've been trying to consolidate all of my belongings since I'm moving to NYC in less than a week, and to buy more unnecessary (necessary to me though!) clothes was just not in the plan. Thankfully, a lot of it didn't fit so I didn't have to make the heart-wrenching decision of what to leave and what to buy. 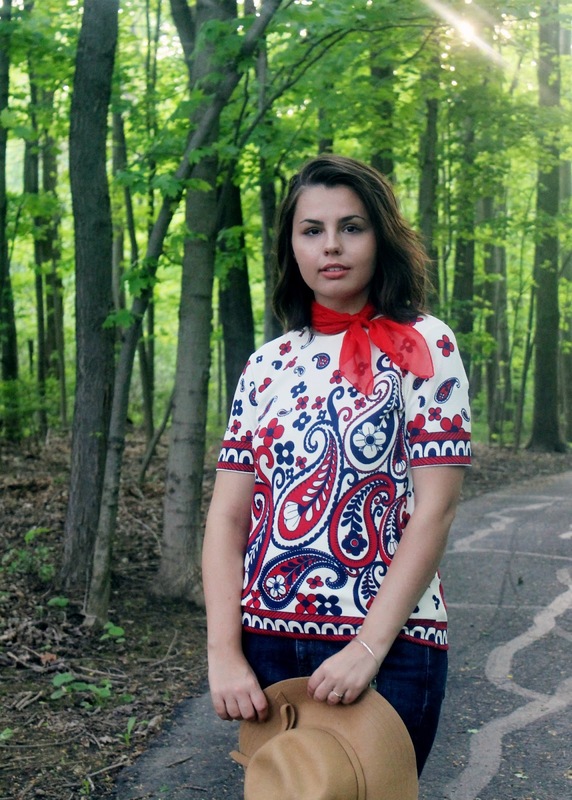 I did get a few beautiful pieces like this late '60s paisley shirt. It is everything I could dream of and more! I also snagged a '70s peasant dress, a Sabrina look-a-like gown, the striped sweater in my last post, and a beautiful floral dress. My mom didn't kill me, I got some gorgeous new clothes, and I did good by purchasing second hand. Win for all parties involved! Levi's 518 Wide Leg Jeans: Thrifted. Chiffon Scarf (similar for $5): Thrifted. Cream Heels(similar): c/o from a long time ago. Lauren, you always find the most beautiful pieces while thrift shopping! I seem to be looking in the wrong spots. I follow you on both Instagram and snapchat, and am constantly bombarded with all the pretties you find. I'm a tad jealous ;) You look absolutely stunning in this outfit! Holy crap what an awesome trip to the thrift store! Score! I enjoy mixing decades in my style too so this top and jeans combo is perfect. 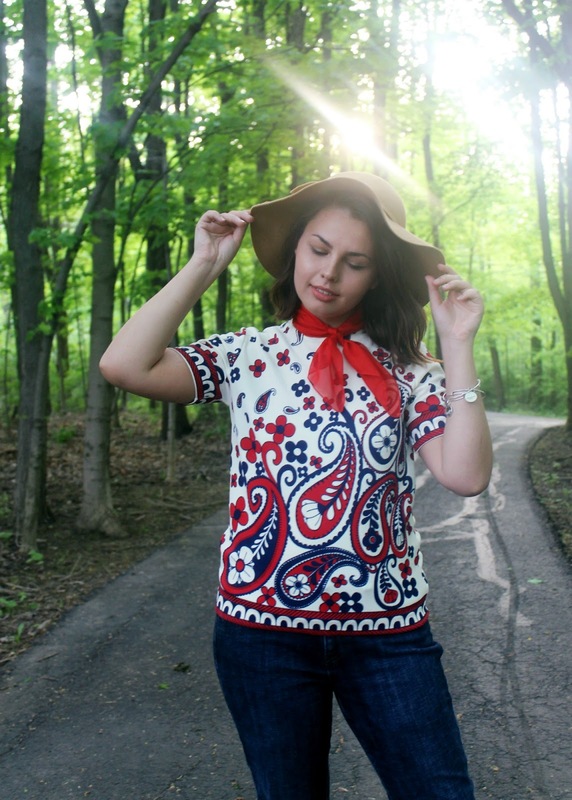 The top is just such a fun print. Great find!